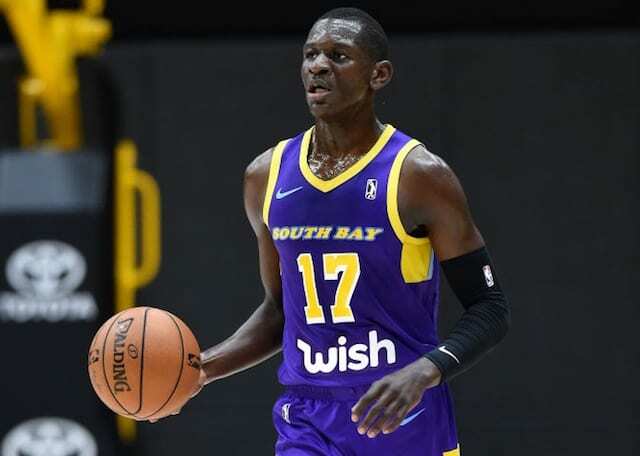 The Los Angeles Lakers recalled Isaac Bonga from their G League affiliate, South Bay Lakers. Bonga presumably will be with the parent team for the two-game road trip this weekend that calls for back-to-back games with the San Antonio Spurs and Memphis Grizzlies. His joining the Lakers appears to be in response to Brandon Ingram suffering a sprained left ankle in the first quarter of Wednesday’s comeback victory. Ingrams sustained the injury when he went up for a jump shot and landed on LaMarcus Aldrdige’s foot. He immediately grabbed at his ankle and remained down on the floor before shooting the free throw on what was upgraded to a Flagrant 1 foul. Ingram then checked out of the game and went back to the locker room. The Lakers initially deemed him questionable to return against the Spurs and at halftime ruled him out. Lakers head coach Luke Walton did not have an update on his status immediately after the win. 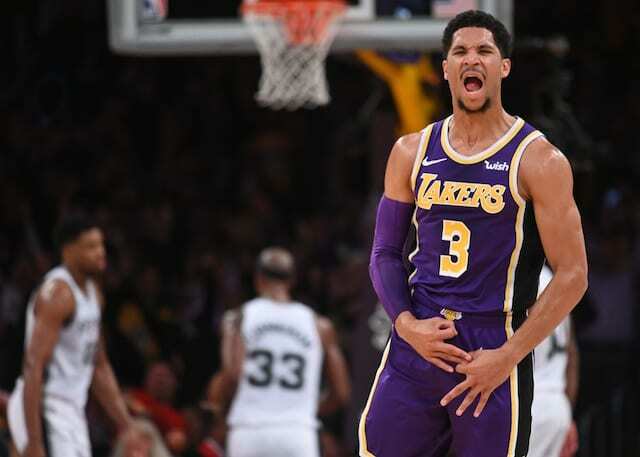 Walton added that if Ingram is to miss any time, he likely would begin to stagger Lonzo Ball and LeBron James to help assume point-guard duties with the second unit and ensure at least one of them is on the court at most times. Bonga averaged 14.0 points, 6.3 rebounds, 2.5 assists and 1.2 steals in 28.5 minutes over 12 games with South Bay. Despite the strong showing, he likely is only an emergency option for the Lakers. They may soon see the return of Rajon Rondo, who was recently cleared for contact progression and twice has been a full participant in practice.